Increase your Debuff Resist by 12.5%. Overcharge: Chance to reduce enemy NP gauge by 1. Reduce their NP gauge by 1. 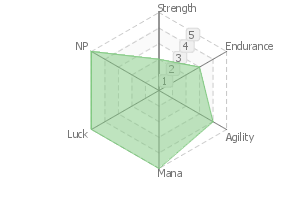 Increase Critical Damage of all allies by 25% while he's on the field. Artemis was summoned with Orion as a bonus. Correction, it's the reverse. When the great Greek hero Orion was summoned, somehow the goddess Artemis got summoned with him. Plus, Orion was turned into a strange creature (mascot character). Height and weight refer to Artemis. Orion is a famous constellation, as well as a talented hunter and lover, but other than that there are no tales of his glory left to tell. He was known for being the human the Virgin Goddess Artemis fell in love with. Artemis was uneasy at the strangeness of the situation, and interrupted Orion's summoning. She decided to fulfill the role of Archer. She dropped her divinity as much as she could, so she's only slightly more powerful than regular Servants. Orion will ignore Artemis' affection most of the time, yet he will try to go for other women or female Servants whenever he gets the chance. Unfortunately, he's only a little bear-like mascot, so there's nothing he can do. This arrow is powered with Artemis's love for Orion. This overwhleming love causes massive damage and extreme confusion to its target. Since Orion is an irresponsible lady-killer that likes women and flirting, rather he has a better affinity with a male Master whom he can repetitively amuse himself in foolish talks. With the exception of Orion, Artemis has no interest in the opposite gender, but she really gets into love stories regardless of being heterosexual or homosexual. 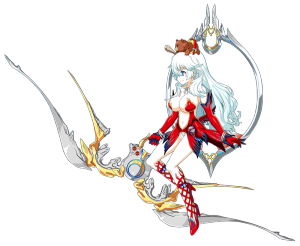 Artemis was summoned while having Orion as an accessory. Correction, it is the opposite. 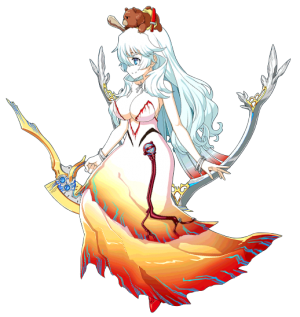 Upon summoning Orion, a hero of Greek Mythology, for some reason the goddess Artemis also came along. To make matters worse, Orion completely changed into a strange creature (mascot character) that cannot be defined as either a person or a beast. Famous as a winter representative constellation, but other than being a notorious hunter and lady-killer, it is not like a brilliant heroic tale about Orion is being transmitted. However, he is well known as the human for whom the virgin goddess Artemis fell in love with. Harboring uneasiness towards the abnormality of the present situation, Artemis trespassed by wedging herself into Orion's summoning. She is fulfilling the role of an Archer. 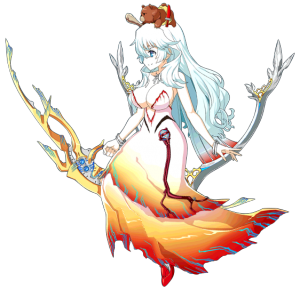 Since her divinity has dropped to the limit, she just has a power that is slightly stronger than your normal Servant. Orion is dumbfounded towards Artemis' passionate approach, and if there is a chance he will make an attack on various women and female Servants, but sadly he is just a mascot character after all, so it is all futile. Furthermore, there is also the fact he is not cute enough to be called a mascot. An arrow fired with Artemis' power of love towards Orion. Because it is shot together with exuberant love, it exerts tremendous damage and maximum confusion on the target. 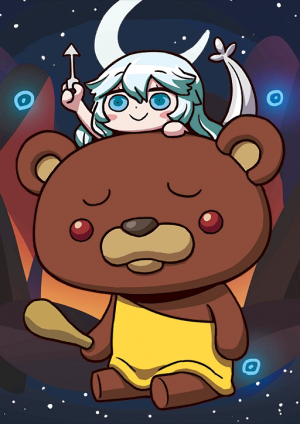 Orion is actually the bear; the woman is Artemis. 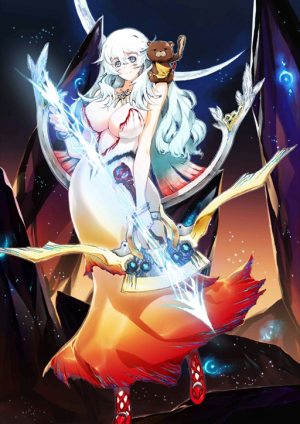 Even though it is Artemis who is holding the bow and performing the attacks, for the purposes of Craft Essences like Holy Shroud of Magdalene, the Servant is still Orion, so damage taken is reduced. 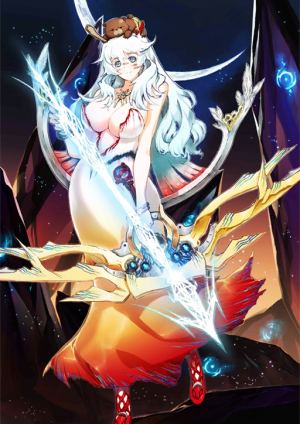 Orion was the first Servant patched into the game after the official release. This page was last modified on 22 February 2019, at 16:44.